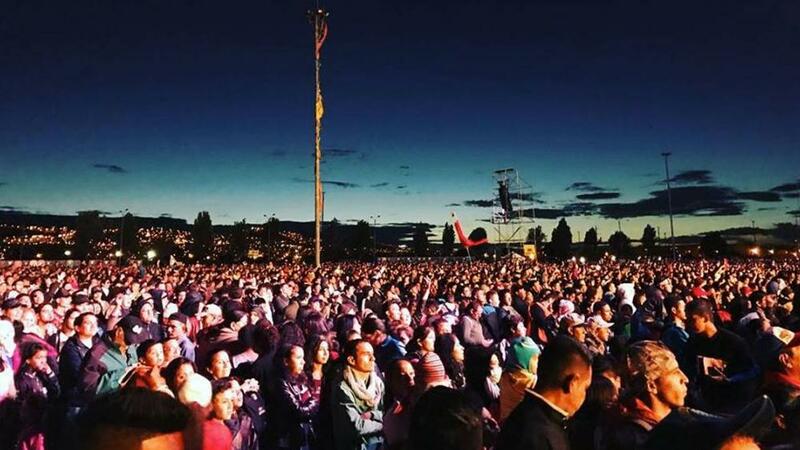 More than 18,000 people committed their lives to Jesus Christ through the efforts of the Luis Palau Association’s Bogota Festival held in Bogota, Colombia in August 2018. The festival was a region-wide effort led by Luis’ son Andrew Palau. It marked the ministry’s return to the area 52 years after evangelist Luis Palau’s first major campaign to win souls in the heart of Colombia’s capital city. More than 850 local churches and 11,000 local Christians participated in the three-day campaign designed to shake the nation of Columbia, targeting local business and civic leaders, women and even prisoners, according to Palau Association press release. In addition, the ministry partnered with Bibles for the World to provide Bibles at the Bogota event. The Bogotá festivals were broadcast throughout Latin America by the television network Enlace. The crusade in 1966 not only marked a powerful shift in the trajectory of Colombia, whose evangelical community experienced exponential growth following the campaign but also set a model for a citywide impact that the ministry has used to reach millions of people throughout the world for more than 55 years, according to the press release.